Long on ambition, short on details, President Donald Trump’s promise of the biggest overhaul in the history of the American tax system could jolt the Bay Area, shaking up the housing market, afflicting charities and prodding tech giants to bring billions of their assets back home from abroad. Guest post written by Mario Loyola.I recently asked an environmentalist this question: "If we found out that the planet was warming for purely natural reasons, would you be in favor of climate engineering to stop it, because the current temperature and sea level are the right ones for humans?" He seemed appalled. "No, of course not, man," he said. "Thank you," I said. And I meant it, because this fellow had just made a concession that is fatal to the central argument in favor of reducing carbon emissions: the risk of catastrophic climate change. Mr. Loyola—author of "Twilight of the Climate Change Movement"—is senior fellow at the Wisconsin Institute for Law & Liberty. Illinois had a greater net loss of residents in the year ending in July 2016 than any other state. What you may not have seen is that this was for a third consecutive year. In all, 113,470 more people left (or died) than arrived (or were born) from 2014-2016. The drop in labor force participation rates concerns economists for several reasons. First, it depresses economic growth, which is already at anemic levels of 0.5%. Second, it puts pressure on the federal budget at a time when we are facing historic fiscal constraints. The less workers there are, the more the tax base shrinks. And third, any time out of the labor force impacts workers’ future earnings trajectories should they return to work, due to lost training and on-the-job experience. Read more about immigration at Immigration News. "Wind and solar...are not the only power sources that produce little or no carbon dioxide emissions. Natural gas power emits only half as much carbon dioxide as coal power, and hydro power and nuclear power emit no carbon dioxide emissions at all. Natural gas and nuclear power are available on-demand, unlike wind and solar power that are extremely limited on cloudy days, low-wind days and at night. Hydro power is not quite an on-demand power source, but it is much more reliable and predictable than wind and solar. Because wind and solar require conventional power backup, hydro and nuclear power actually reduce carbon dioxide emissions even more effectively than wind and solar, and natural gas emissions become comparatively smaller relative to wind and solar." Scientists say the Sierra's eastern front is long overdue for a large earthquake along the California-Nevada line, where a magnitude 7 event expected on average every 30 years hasn't occurred in six decades. In Illinois, Some Push Bankruptcy As Solution To Troubled Public Budgets Each year in Illinois, increasing pension obligations are consuming more of its taxpayers’ dollars, pushing cities and towns to cut core services and raise property taxes just to keep up with the payments, policy experts say. It’s led a Republican lawmaker to float the idea of allowing municipalities and other agencies to declare bankruptcy. Rep. Ron Sandack even introduced a bill specific to allowing the financially troubled Chicago Public Schools system – whose teachers are preparing to strike – to use the bankruptcy system, but he has no plans to attempt to further it. And a recent Chicago Tribune editorial says if CPS isn’t considering bankruptcy, it should be. 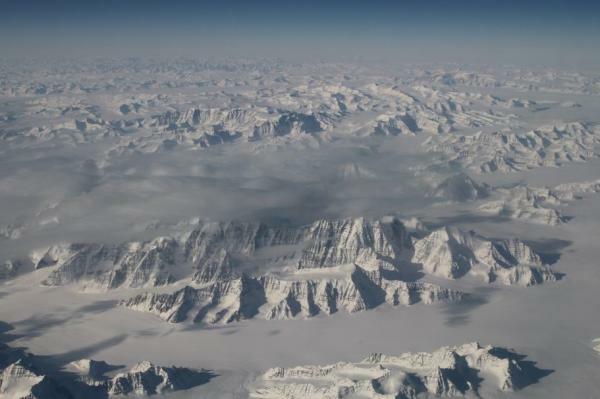 BOSTON, April 19 (UPI) -- Researchers have known that across the great expanse of Earth's geologic history, tectonic shifts and climate change are linked. Identifying more specific correlations -- cause and effect -- has proven difficult. However, new research shows tectonic activity likely triggered the last two ice ages. "I think we're the first ones to really link large-scale tectonic events to climate change," Oliver Jagoutz, associate professor of planetary sciences at MIT, said in a news release. Yesterday, the state of Nevada filed an amicus brief I coauthored on behalf of Nevada itself and eight other state governments in Murr v. Wisconsin, a major property rights case currently before the Supreme Court. The case addresses an important question about when property owners are entitled to compensation under the Takings Clause of the Fifth Amendment: whether an action that might otherwise be a taking might cease to be one merely because the owner of the affected lot also happens to own other property contiguous to it. On Wednesday, April 20, 2016, the U.S. Supreme Court will hear oral argument in the case of Birchfield v. North Dakota, an important Fourth Amendment case that should be of interest to everyone who drives a car. The science of global warming is settled. At least, this is what politicians keep insisting. Why should they care? Well, it turns out that global warming has provided a pretext for massive increases in political control over the public. The science of global warming has been used to justify the banning of lightbulbs, shutting down coal-fired power plants, and even a possible sighting of the holy grail: increased taxation without end (to save the planet). GRANITE BAY, Calif. (KCRA) --As a parade of storms continues to soak the Sacramento Valley and pile up snow in the Sierra, Folsom Lake is on the rise. As of 4 a.m. Thursday, the lake had 252,430 acre-feet of water, according to the California Data Exchange. That's almost double what the lake had just a month prior, when the reservoir hit an all-time low of 135,943 acre-feet on Dec. 4.